My (non-headsize) headsize band has been quite a pain to sew on. But first things first. I started by cutting the approximate length of grosgrain needed (the only color I had, dark brown-grayish), and I’ve put it under running water a moment to get it wet. 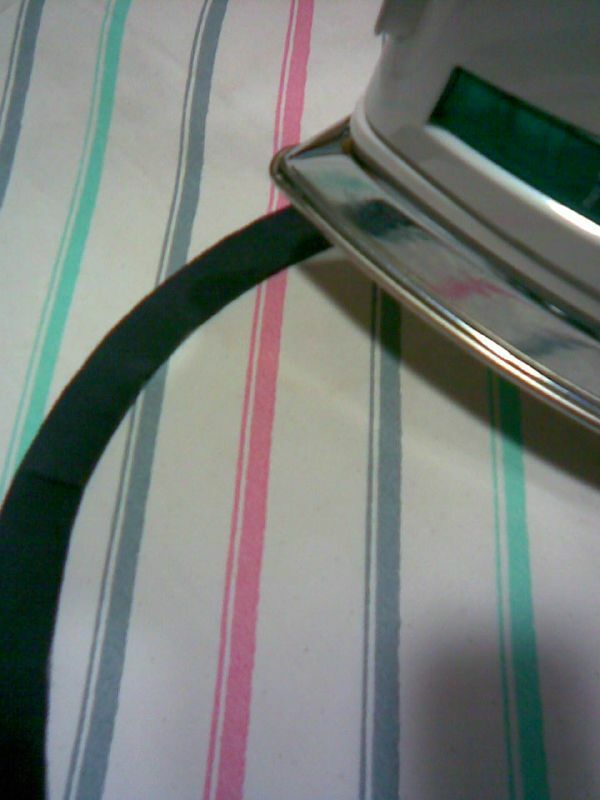 I have a piece of ironing board cover that I use on top of my kitchen table when I need to iron something and I don’t want to take out the board. By putting the iron tip on one end of the ribbon and pulling at an angle you get the ribbon to take a semi-circle shape, which helps adapting the tape to the tapering shape of the inside of the hat. 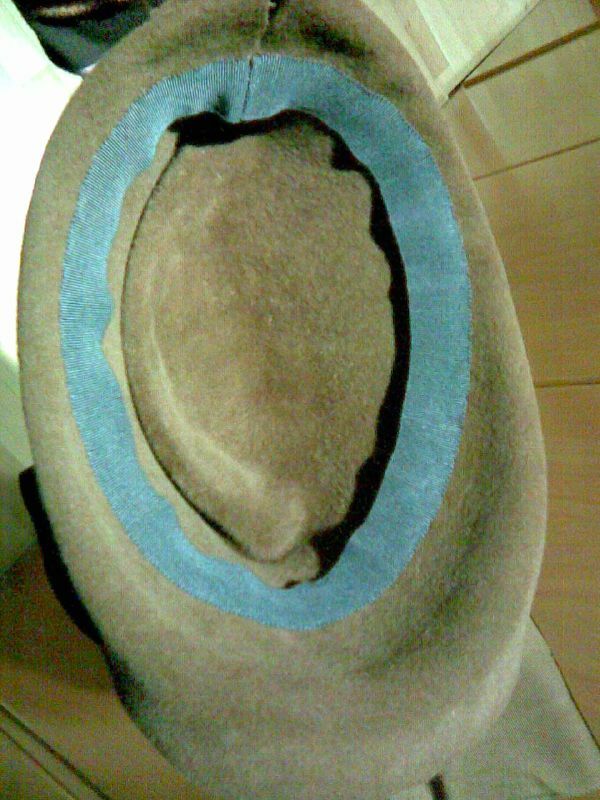 Afterwards I have put the ribbon on the hat and pinned it to get an idea of where I want it to go. 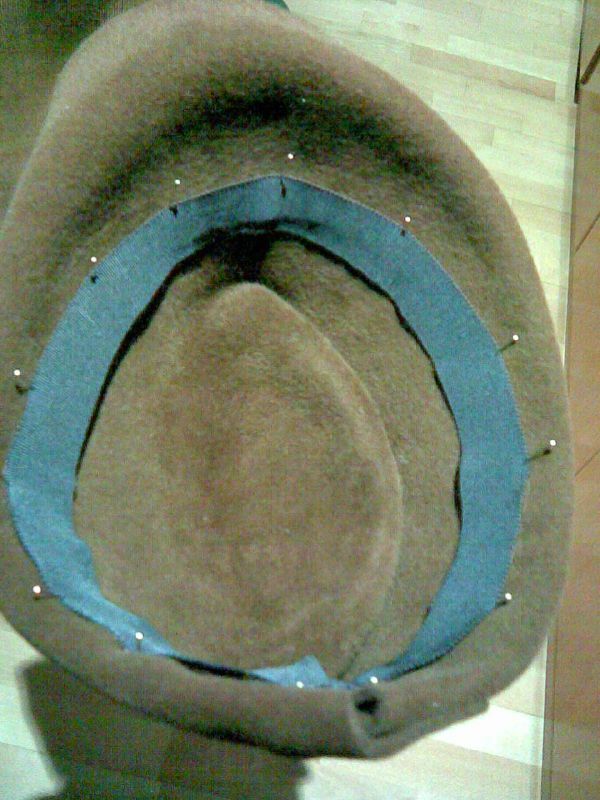 Because there are visible stitches on the inside where crown and brim have been sewn together, I don’t have much of an option about where to put it though. I have slip stitched where the ribbon meets (one end of the ribbon stays flat while the other end folds over at the center back). Then the hard part, stitching the ribbon. I have sweated with that, but with some careful squashing of the felt I managed to do it. Updated 5 December 2006: Title changed and links to enlarged pictures added.